The weather was threatening us not to push through with our trip to Cagayan. A few days before our trip, I have watched out for forecasts but it will tell me of a predicted typhoon. I kept on checking with my travel buddies whether we should still push through, since our top priority was to see Palaui Island, and yet everyone was optimistic which helped me keep my hopes up. It was an 11-hour drizzly bus ride with Florida Bus, we still chose this bus provider despite having been suspended and started operation a couple of days before. I was just glad that I was traveling with a big group, and a cool one at that. And true enough, it was raining when we reached Tuguegarao City. To top it off, we didn’t have any lodging booked for the day. Oh boy, exactly what we just needed. 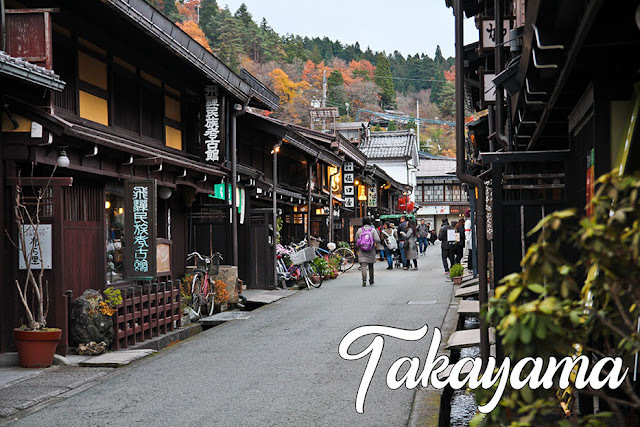 Since we didn’t really plan out logistics and itinerary, we just asked the locals on where we can stay, and of course, they give out the best recommendations! We managed to get a good deal at this modest inn called Don Domingo Lodge nearby Tuguegarao Market. For P1250 pesos, we got a family room that can fit six people, comes with A/C and a cable TV, it was definitely a steal. Since it was still raining and we felt a bit tired from our long bus ride, we decided to rest before heading to our first destination in Cagayan. 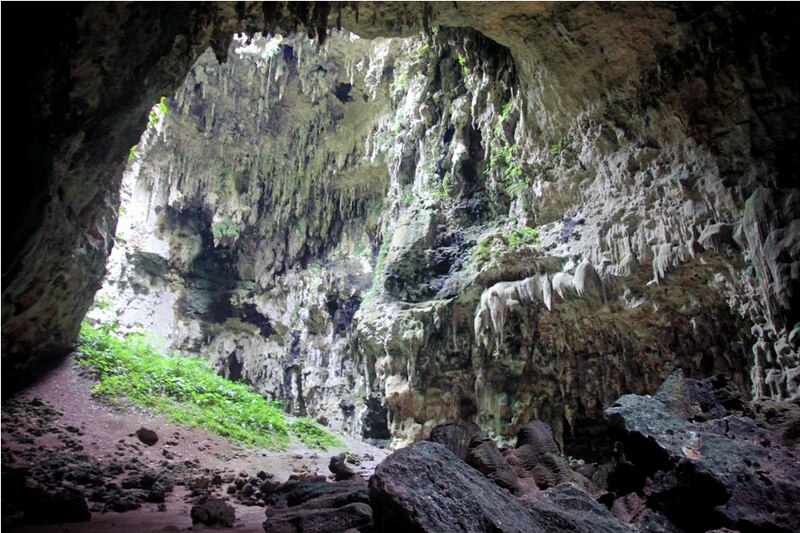 I actually had two places in mind that I wanted to see, Callao Cave and Palaui Island. The latter became famous thanks to the reality TV show Survivor, Callao Cave on the other hand was featured at MMK (Maalala Mo Kaya TV Show) and a movie, The Mistress (which I was able to see when we stayed overnight at Lake Sebu haha) The hotel staff gave us instructions that we can reach the cave by hiring a van or a tricycle, and being the cheapskates that we are we chose the latter option. I was traveling with two senior citizens and wanted to go by car as it would be more comfortable for them, I guess I underestimated these two young ladies! The road going to Peñablanca proved to be quite challenging. We saw the aftermath of landslides since it has been raining for a couple of days even before we arrived. The road was very muddy and the bridge that crosses Pinacanauan River got overflowed and would be quite dangerous to pass. We had to take the longer route instead and pass off for the chance to do river cruising. Fortunately, we were able to reach our location with no bruises but with mud and dirt on our legs instead. 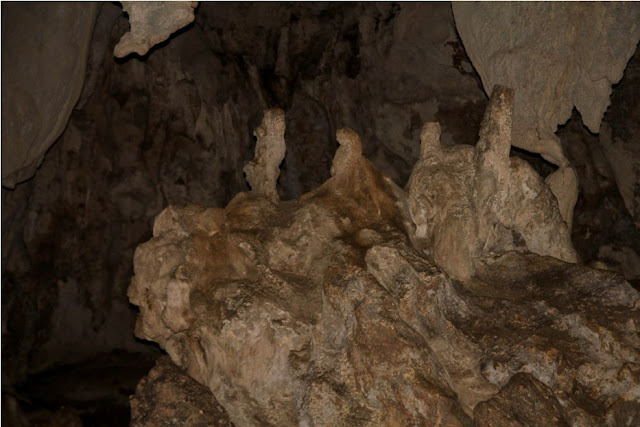 Our group was led by a female guide, we didn’t get to see the famous young tour guides of Callao Cave unfortunately, probably because we had this trip November last year. 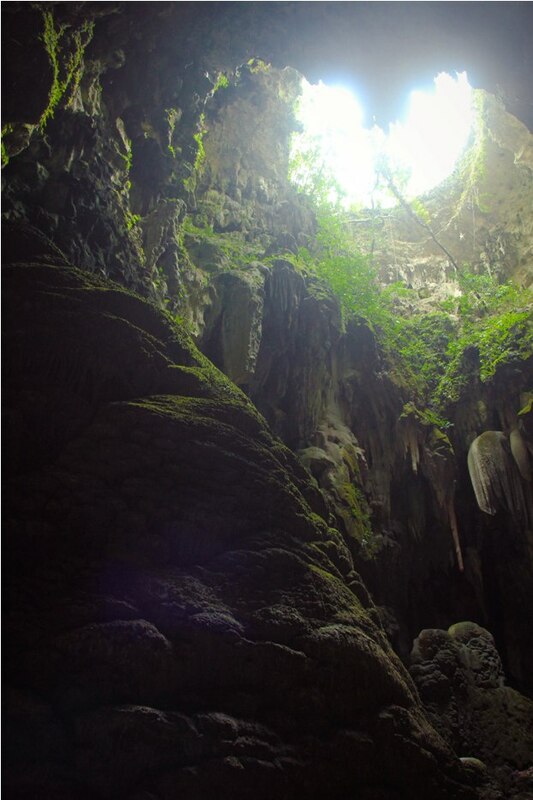 To reach the entrance to the cave, one must go up 180 steps of stairs. 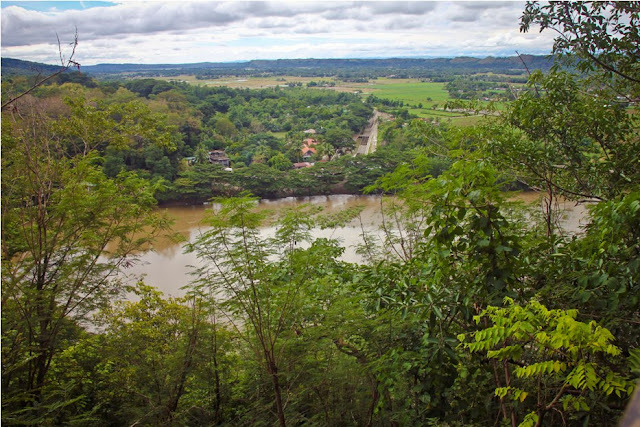 Your sacrifice will be rewarded afterwards with a panoramic view of the town of Peñablanca and Pinacanauan River. I would never forget my gradeschool SIBIKA lectures about the Tabon Man, said to be the oldest humans to have lived in the country. 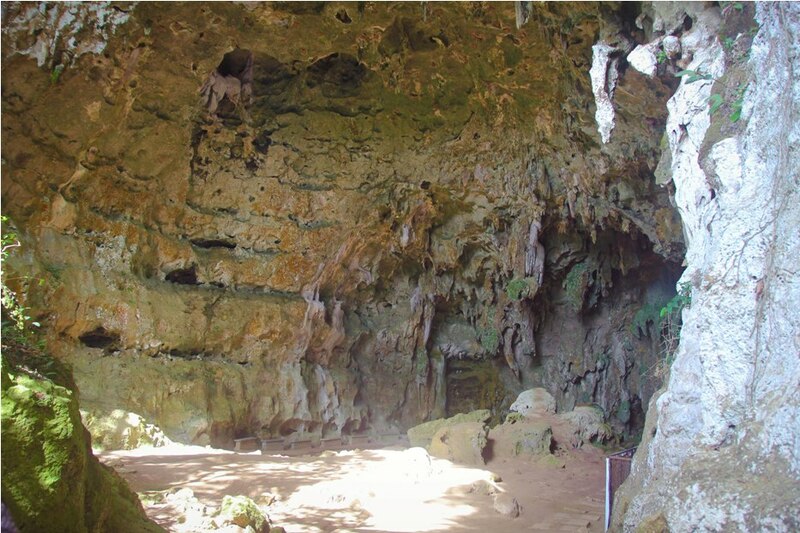 However, a group of archaeologists discovered the fossilized remains of Callao Man, homo sapiens presumed to be at least 67,000 years old, even older than the Tabon Man. 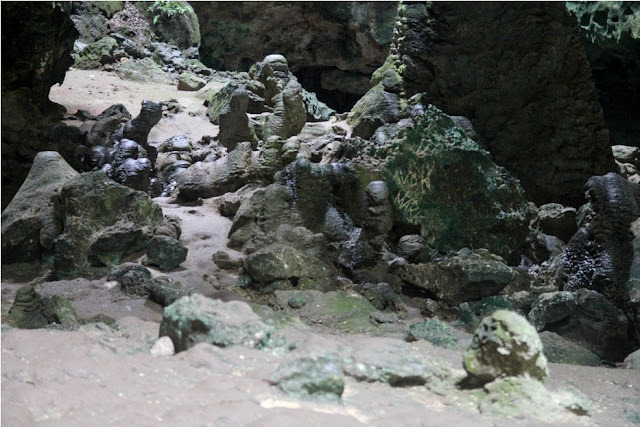 The Aetas are believed to be the descendants of the Callao Man. New learning for me! The first chamber of Callao Cave is the largest and features spiky rocks on its ceiling. 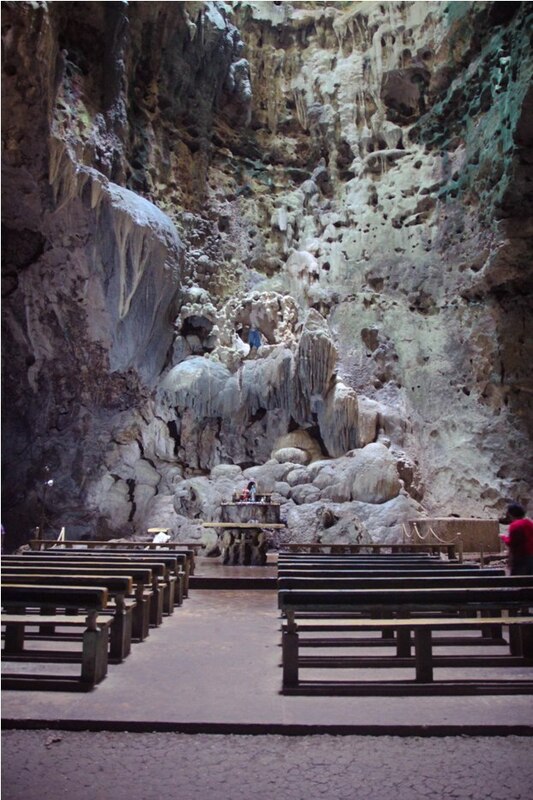 Its neighboring chamber is probably the most prominent and also the most featured, The Chapel which has been turned into a small chapel deriving the idea from a rock formation of Mother Mary and Baby Jesus. 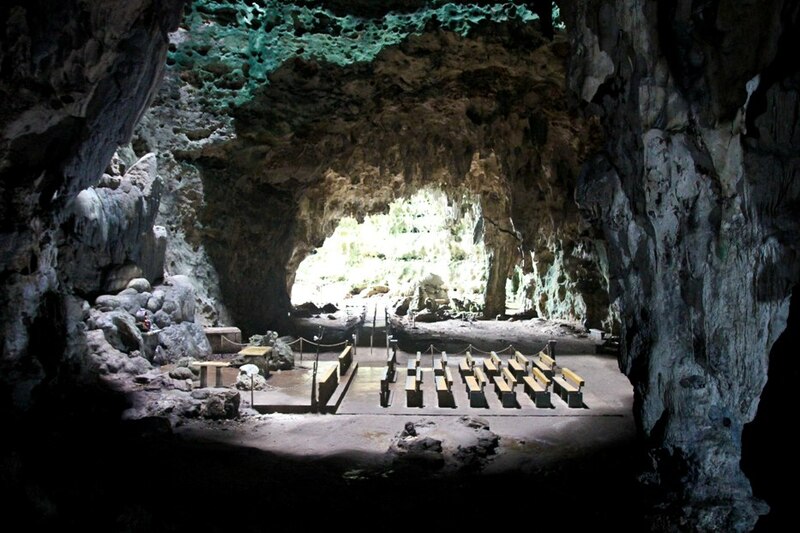 I have heard from a friend that a travel blogger had her wedding here, I wouldn’t be surprised. 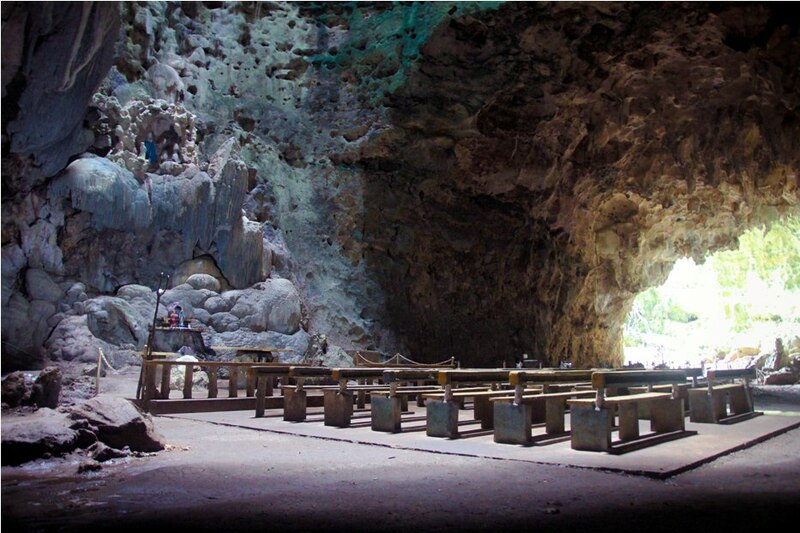 It also reminded me of Malaysia’s Batu Caves that highlights Hinduism with its temple built inside a cave. It was quite fun to look out for those rock formations and even "creating" some of my own. 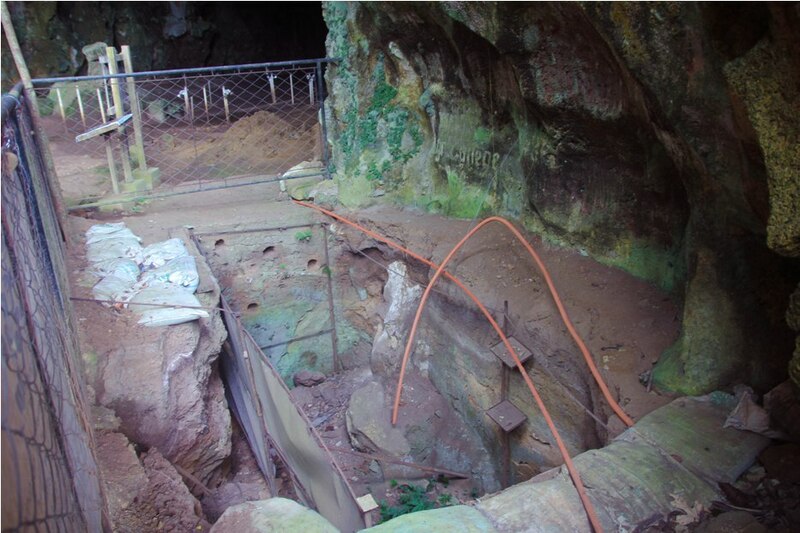 Since it rained hard that morning, the area was slippery and made it hard for us to explore. I was very careful not to lose my balance because I am somehow prone to accidents like this. And fortunately, I made my way out safely with no bruises. However, two of my companions decided to stick with the group only until the third chamber as they were afraid they might slip or fall. 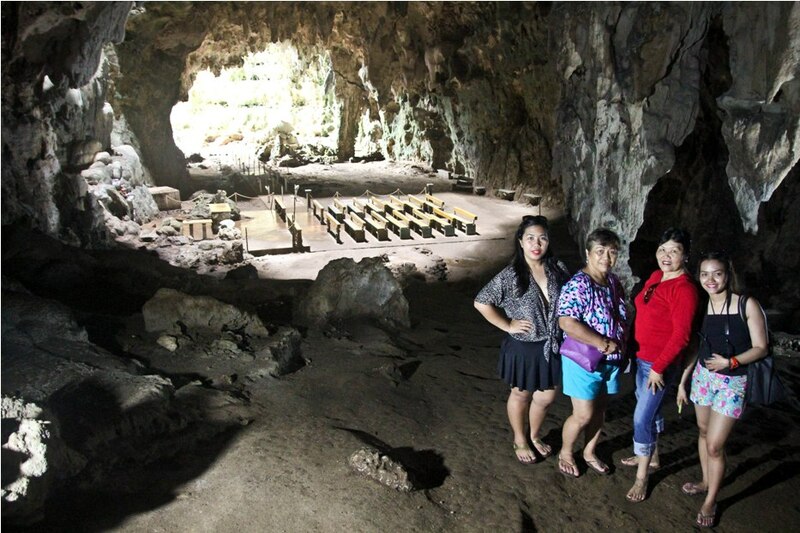 I think it would be better for a group of three or more to hire two guides especially during the -Ber months when the weather is unpredictable and the safety should be prioritized. Cagayan also takes pride of it natural treasures, if you are craving for more challenges, the nearby Jackpot Cave is also located in Peñablanca and is said to be the Philippines’ second deepest cave. Some of the toughest caves are also in this province, San Carlos Cave with its sharp rocks, narrow passages and cold water, and Odessa-Tumbali Cave which is the longest cave in the country that has flood-prone paths. 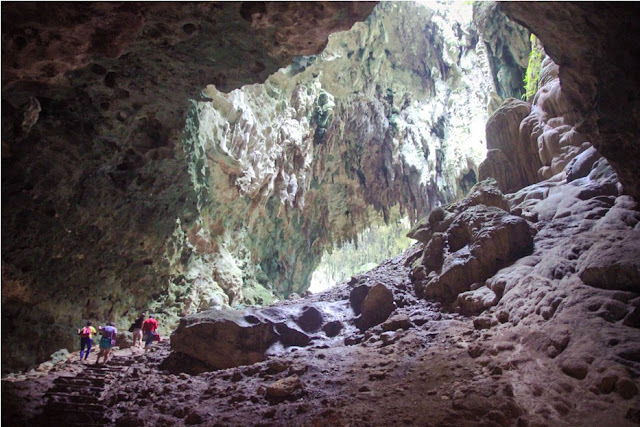 These will probably be even more difficult to navigate than Sumaguing-Lumiang Cave of Sagada. don't they look like the back of snakes preparing to attack its' prey? 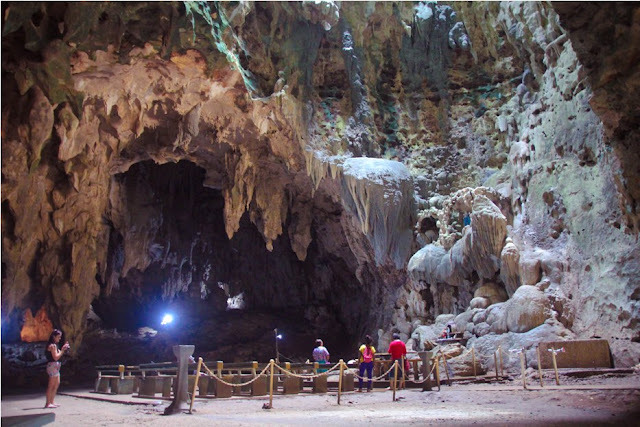 Visiting Callao Cave was a great introduction to Cagayan, even though the weather was a bit gloomy, it still cooperated with us and I am thankful we didn’t get to encounter any accidents. 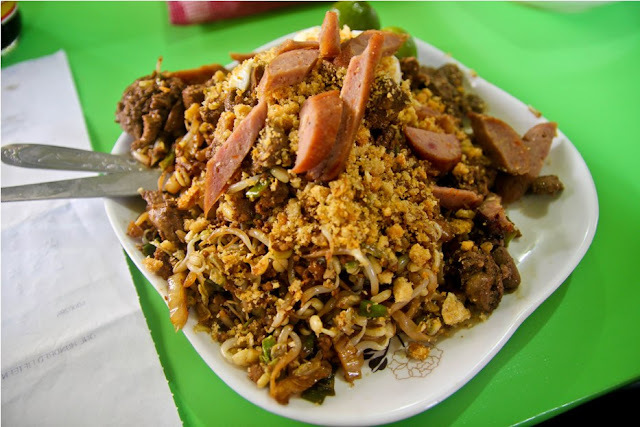 As a treat, we feasted with Tuguegarao’s well-known noodle dish called the Pancit Batil Patong. It was filling and really yummy, enough to pack us with enough energy that we still needed to explore more of Cagayan. For big groups you can hire a van especially during rainy months where the roads can be quite difficult to traverse. From Tuguegarao, take a tricycle to Peñablanca terminal. If traveling with a group, I recommend hiring a tricycle to save time waiting since tricycles don’t often wait around the entrance/exit to the cave. You can also opt to reach the cave by boat that will cross Pinacanauan River. Guides are required and as of the time we visited, there is no standard rate imposed for them yet. Hello. 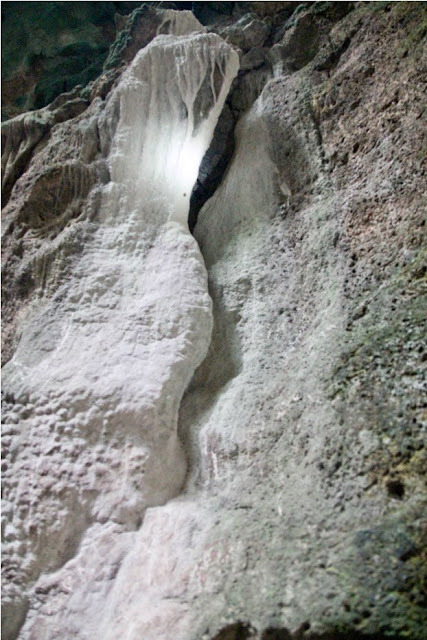 May contact details po kayo ng vans na pwedeng sakyan papunta sa Callao Cave? Salamat!